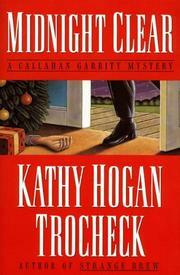 A readable but readily forgettable sixth outing for Callahan Garrity (Strange Brew, 1997, etc. )—ex-cop, now part-time p.i., and head of House Mouse, a housecleaning service. Callahan and her hard-headed, widowed mother are steps above white trailer trash; but the same can—t be said for brother Brian, unheard from for the past ten years (while he built a hefty police record) and now turning up with three-year-old Maura in tow’snatched from his promiscuous wife Shay Gatlin and her mother Annette, who also sleeps around, though lately only with lawyer Chuck Ingraham. The Gatlins have a court order for Maura’s temporary custody, which Brian has defied by disappearing yet again after leaving Maura with his mother. When Callahan attempts a conciliatory meeting with Shay in her filthy apartment, she finds her sister-in-law dead’stabbed multiple times. The Atlanta police have Brian pegged for murder, along with a couple of others long unsolved. But Callahan starts working her way through a boring series of minor if, in the long run, crucial discoveries (in old police files, lawyers— offices, and excursions to the area’s seediest neighborhoods), eventually coming up with the real killer, and a mean ironic final twist. The language is way beyond gritty, the culprit far from convincing.